This Plantronics EncorePro HW540D Convertible Digital Headset is a premium audio device that showcases what an all-new generation of headsets from the company is all about, which is the combined result of years of experience and ambitious perspective of the future. This innovative headset is particularly designed to be able to cater to the demanding needs of telephone-intensive users, including customer service representatives, executive assistants, and help desk workers. 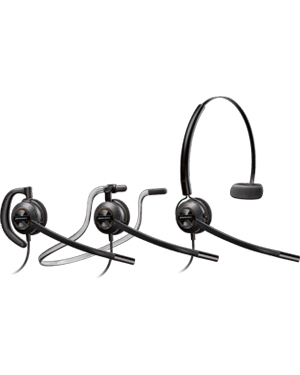 Plantronics EncorePro HW540D Convertible Digital Headset offers three innovative models depending on the preference of users on how they want to wear the headset. More than just high quality and incredible technologies integrated in the device, this 3-in-1 headset also uses comfortable design and soft ear cushions, making it easy to be used all-day without any sign of uneasiness. Plantronics, a consumer electronics company founded in 1961, is currently headquartered in Santa Cruz, California and traded as PLT in the New York Stocks Exchange and S&P 400 Component. The company has Joe Burton as the company’s President and CEO, leading all the major operations, including the manufacturing and production operations in China and Mexico. 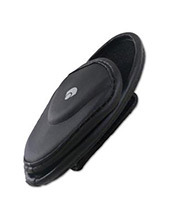 Plantronics started out in the 1960s, when the headsets used by most are bulky, heavy, and big. After the establishment of the company, it has focused all of its efforts and attention in making those big and bulky headsets slim down to what was considered then as the lightest ever introduced in the market. With this innovation, the company has become one of the frontrunners in the industry, with approximately 5,000 great employees backing up the company. Plantronics was incorporated in the year 1988. It has even improved its operations from there and push the company further to the top. 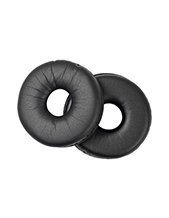 Headsetsonline Pty Ltd is an online store that operates through its enterprise-encrypted and secured site, Headsetsonline.com.au. The company makes sure to protect its customers, especially when it comes to their online shopping activities. Considering the fact that customers would need to input private information on the site, there is a need for the site to have a solid protective measures. The company’s site has GeoTrust True Business ID with Extended Validation and green URL HTTPS address bar that help in the security. In addition to that, the site also uses the same secured login as banks, which is integrated with 256-bit identity authentication and 2048-bit root encryption. 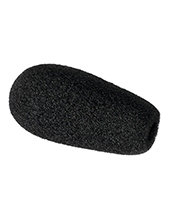 Headsetsonline does not only offer security and protection but of course, high quality products and services. Its products are gotten directly from Australian distributors and not grey imports. This means that products and solutions are all Australian standards certified with warranties that can be used Australia-wide.